As the situation in France escalates, the anti-Emmanuel Macron protesters - aka The Gilets Jaunes (the yellow vests) - plan to make a run on the country’s banks. This “bank run” is a call from the yellow vests, to all French citizens, emploring them to withdraw their euros. If successful, the group may cause a complete failure of the banking system in France. This is because French banks are run via a fractional reserve system, meaning that only a fraction of funds are backed by actual fiat; the country’s banks are estimated to have less than 1/4th of the funds on hand needed to satisfy a bank run. The yellow vests seem to know where to hit the government hardest. 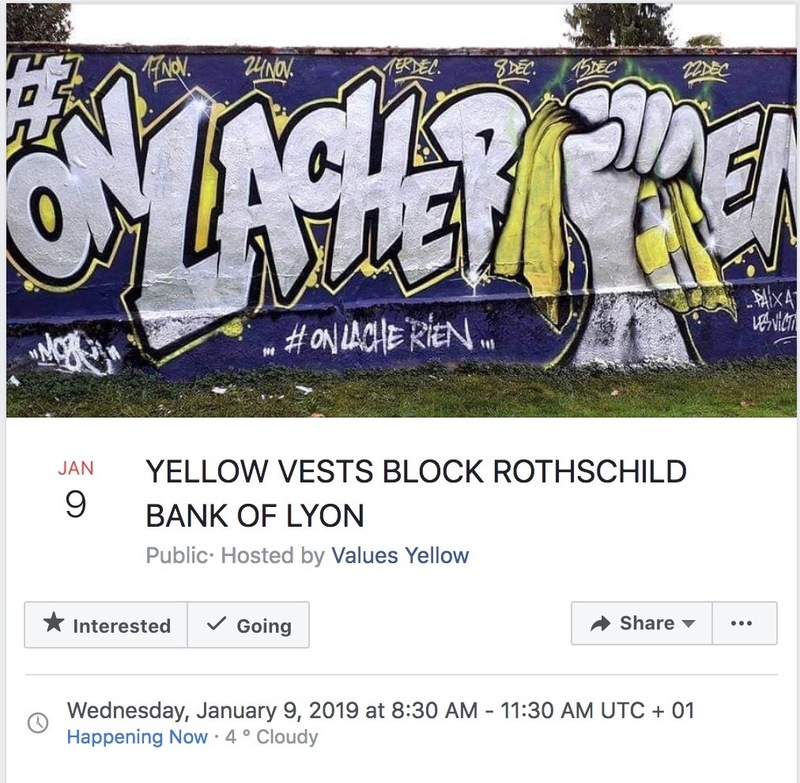 A post on Facebook confirms that today (9th January) protestors will demonstrate outside of the Rothschild owned bank of Lyon. As reported, a street artist known as Pascal Boyart, AKA Pboy, recently finished a mural depicting the yellow vests' struggle against the French regime. Incredibly It was revealed that the mural hides a prize of 0,26btc ($1000). As of writing, no one has yet solved the puzzle, and the amount has increased to 0.2874245 BTC; evidently due to an anonymous donation. Read more: Street artist Pboy hides $1000 in BTC inside a mural depicting Paris protests; Is crypto the solution to 'Gilet Jaunes' protests in France?